In obese patients, creation of access might be more difficult while the body habitus of the patient usually does not influence the laparoscopic approach to pelvic region. The thickness of the abdominal wall diminishes the available length of the trocars and consequently the ability to reach deeply situated structures with the instruments. Previous abdominal surgery or radiotherapy sometimes leads to parietal or intestinal adhesions, which may represent increase risks during access to the Retzius' space. Periprostatic fibrosis increases the difficulty of dissecting the prostate, particularly its posterior wall. 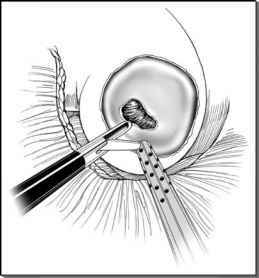 This situation is often observed after neoadjuvant hormonal therapy, repeated transrectal biopsies, previous inflammation of prostate, and finally transurethral resection of the prostate or open adenomectomy of prostate. However, even the patient following external radiotherapy (i.e., salvage prostatectomy) has been treated laparoscopically (16).